Heterologous production of isoprene (C5H8) hydrocarbons in cyanobacteria, emanating from sunlight, CO2, and water, is now attracting increasing attention. The concept entails application of an isoprene synthase transgene from terrestrial plants, heterologously expressed in cyanobacteria, aiming to reprogram carbon flux in the terpenoid biosynthetic pathway toward formation and spontaneous release of this volatile chemical from the cell and liquid culture. However, flux manipulations and carbon-partitioning reactions between isoprene (the product) and native terpenoid biosynthesis for cellular needs are not yet optimized for isoprene yield. The primary reactant for isoprene biosynthesis is dimethylallyl diphosphate (DMAPP), whereas both DMAPP and its isopentenyl diphosphate (IPP) isomer are needed for cellular terpenoid biosynthesis. The present work addressed the function of an isopentenyl diphosphate (IPP) isomerase in cyanobacteria and its role in carbon partitioning between IPP and DMAPP, both of which serve, in variable ratios, as reactants for the synthesis of different cellular terpenoids. The work was approached upon the heterologous expression in Synechocystis of the “isopentenyl diphosphate isomerase” gene (FNI) from Streptococcus pneumoniae, using isoprene production as a “reporter process” for substrate partitioning between DMAPP and IPP. It is shown that transgenic expression of the FNI gene in Synechocystis resulted in a 250 % increase in the “reporter isoprene” rate and yield, suggesting that the FNI isomerase shifted the endogenous DMAPP-IPP steady-state pool size toward DMAPP, thereby enhancing rates and yield of isoprene production. 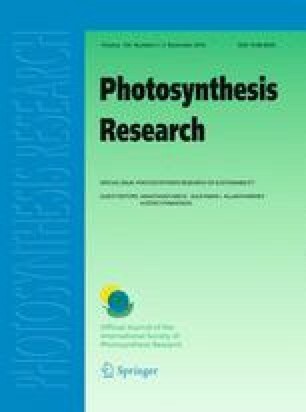 The work provides insight into the significance and functional role of the IPP isomerase in these photosynthetic microorganisms. The online version of this article (doi: 10.1007/s11120-016-0293-3) contains supplementary material, which is available to authorized users. The work was conducted in partial satisfaction of the requirements for the degree of Doctor of Philosophy by JEC, supported by a graduate student fellowship from the NSF Sage IGERT program.